Today’s National Guard is the direct descendant of the militias of the thirteen original colonies. The first English settlers brought many cultural influences and various skills with them. The same is true of the National Guard today. Every unit is made up of citizen/Soldiers that are electricians, prison guards, engineers, doctors or even local politicians. The National Guard is the oldest “branch” of the military and has served in every major war throughout our history. There is a high sense of pride with serving in the National Guard and our ranks have included some of the most influential men and women in our history. Here are my Top 5 Famous Army National Guard Officers who I am sure you will all recognize. #5. Paul Revere: Providing early warning, Paul Revere could be viewed as conducting one of the very first screening missions in the US Army. Most know him for that famous ride, but Paul Revere served as a Massachusetts militia Officer. While his campaigns were short and not so successful, Paul Revere continued to support the war efforts through his skills in the silversmith trade. He cast cannons and was the first to roll copper sheets onto warship vessels in the 1800’s. A true American hero, Paul Revere is definitely one famous Guardsman. #4. Audie Murphy: Most people recognize Audie Murphy for his triumphs in his service during WWII. However, Audie started his military enlistment as a private and moved up through the enlisted ranks. In 1944 after numerous citations for bravery in Italy and France, he was made Staff Sergeant and Platoon Sergeant. He was then awarded a battlefield commission and promoted to Second Lieutenant and Platoon Leader. Following his Medal of Honor Award, he was promoted to First Lieutenant on February 22, 1945. In 1950 he joined the Texas National Guard and served in the 36th Infantry Division, until resigning his commission in 1966, at which time he was a Major. #3. Harry S. Truman: Railroad contractor,US Senator and 33rd President of the United States, Harry S. Truman got his start in the Missouri National Guard. When the United States entered World War I in 1917, he helped organize the 2nd Regiment of Missouri Field Artillery, which was quickly called into Federal service as the 129th Field Artillery and sent to France. He took command of a Battery as a Captain. He and his unit saw action in the Vosges, Saint Mihiel and Meuse-Argonne campaigns. After the war, he joined the Reserves and made Colonel. Following his military service he continued on as a judge, US Senator, Vice-President and President of the United States. Not too shabby for a “weekend-Warrior”! #2. Abraham Lincoln: You do not need a degree in Political Science or History to understand the importance of this man in US history. Many argue that he is the greatest US President. 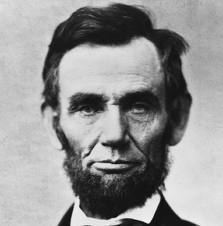 Before he achieved the honors of the Oval Office, this self-educated man served as CPT Abe Lincoln. Beginning as a Private, Lincoln soon took command of his Company and was quite humble about his military experience. Nonetheless, Abraham Lincoln served in the Illinois National Guard during the Black Hawk War. Possibly one of the greatest Presidents of our country’s history, the National Guard can be proud to say he was a part of their history as well. #1. George Washington: He is in your wallet, our Nation’s capital in named after him and he was our very first President of the United States after we won our independence from the British. While we all know of George Washington’s triumphs and turmoil as a US Army General, he did serve as Major George Washington in the French and Indian Wars, overseeing one of Virginia’s militias. He then took command of the entire Virginia Militia as a Colonel. He served as such until Congress had appointed him as Commander of the Continental Army. In many respects, George Washington understood the importance of the militias during the war and was a large supporter of them. To me, he is the most famous National Guardsman. FINAL THOUGHTS: One hundred years before the Bill of Rights…long before Thomas Jefferson wrote the Declaration of Independence…before our 13 original colonies raised a flag, there were Americans fighting for freedom. Those Americans continue their call to service in today’s National Guard and make a significant contribution to the Army and our Nation. What are your thoughts? Leave any comments or questions below. Thank you. Previous Previous post: How Should a Platoon Leader Interact with Their Soldiers? Militia is NOT national guard. The organized militia defined by the Militia Act of 1903, which repealed section two hundred thirty-two and sections 1625 – 1660 of title sixteen of the Revised Statutes, consists of State militia forces, notably the National Guard and the Naval Militia. The National Guard, however, is not to be confused with the National Guard of the United States, which is a federally recognized reserve military force, although the two are linked. The reserve militia are part of the unorganized militia defined by the Militia Act of 1903 as consisting of every able-bodied man of at least 17 and under 45 years of age who is not a member of the National Guard or Naval Militia. Former members of the armed forces are also considered part of the “unorganized militia” per Sec 313 Title 32 of the US Code. Just for fun, I read a bit earlier today about Paul Revere, and thought I would share some little known facts about him. For instance, did you know that he rode a borrowed horse, reportedly from local merchant, John Larkin, the night of his famous ride, and that he was not alone? Two men, William Dawes and Samuel Prescott, accompanied him. Interestingly enough, Paul Revere was also a skilled dentist, using walrus and other animal teeth to create primitive dentures for his patients. Perhaps the most fascinating fact, to me anyway, is that, according to the CIA, Paul Revere founded the first patriot intelligence network recorded by history, a group called the “mechanics”. Very interesting fellow, that Paul Revere. This is pretty neat information, Amy. I didn’t know any of that about Paul Revere. I think it’s cool that he was so resourceful, and a total trailblazer. I like that he started a patriot intelligence network! This is a great reminder of the National Guard's roots, and its distinguished early members. I had forgotten Abe Lincoln's military history until I read this article, and I did not know that Harry S. Truman served in the Missouri National Guard long before the presidency was a glimmer in his future. This article motivated me to revisit history a bit–I would definitely like to read more about Truman's contributions. Thanks for the history! I have a new appreciation for our National Guard. You’re welcome, Amy. Lots of famous people have served in the National Guard, both officers and enlisted alike. I had no clue that today’s National Guard have descended so far through American history! It must be wonderful to be a part of something that existed before our country was even a country. And to have so many of our nation’s elite among the ranks of the national guard..impressive! Paul Revere, George Washington, very wonderful. Kate, there are many famous National Guard Officers, including the ones you mentioned. And many great leaders that went above and beyond, but never became famous in life. Working as an Army National Guard Officer really prepares you for future success in life. You learn so many valuable leadership skills that aren’t taught elsewhere. Thanks for the comment. Interesting article, Justin. I had not known about Paul Revere or Abraham Lincoln, but noticed that three of the five on your list were U.S. presidents. I wonder how many former presidents were in National Guard? Likely more than half just to make a guess. Another George Washington factoid: The scant bit of info about George Washington’s youth says he got his love for the military from a much older brother, Lawrence, whose exploits have been virtually lost to history. Larry, thanks for your comments and insight. I too have heard about George Washington having an older brother. I had not known that his love of the military came from that, but that is very interesting. I would also agree that a good percentage of our President’s have had some experience as NG Soldiers or Officers. Especially those from the earlier part of our history. Just another reason to be proud of the National Guard! Thanks again, Larry! Great comment, Larry. I never knew about Lawrence Washington, nor the impact he had on his brother George Washington. I’m also curious as to how many former presidents served in the National Guard. Your question, Chuck, led me to do a little digging, and 31 of our former presidents have military service under their belts. This includes eleven National Guard members, one who served in the Army Reserves, four who served in the Naval Reserves, 13 who were active duty with the Army, and two in the Navy. Suffice it to say, the leadership skills either obtained or sharpened in the military has translated well into success post-military. I think it should be a requirement to serve honorably in the military if you want to run for President. After all, the President is the Commander in Chief. It would help if they at least had a little bit of military experience. If nothing else, it would keep them grounded and give them perspective as to what it means to serve. I am proud everyday to say that I am a National Guard Officer. Many won’t say the same. There is an attitude and bias towards us from the Active Duty side of the house (mostly in part to our own treatment of our reputation as Soldiers) that has gone on since our inception. The regular Army during the Revolution used to say that the militia weren’t reliable, but that was clearly proven the opposite as we were an essential aspect of the success of the war efforts. Today is no different. But, I believe that as long as we continue to uphold the EXCEED the standard we will always be looked upon as a valuable asset to our Army. In fact, while many NG units may have a negative bias, I have always received compliments from Active Duty Soldiers when they see that I wear the 28th ID Keystone. Stay proud and EXCEED the standard! Justin, you should be proud to be a National Guard Officer. Most of the “bad reputation” we have is self inflicted. Many National Guard Officers are overweight, out of shape, and incompetent. While we do have many great Officers, those few bad apples can really destroy our reputation. While I was an Active Duty Officer, I often teased the ARNG Officers and Soldiers. Looking back, I’m embarrassed to say that, but it is the truth. However, after I spent some time as a National Guard Officer, I realized how important the militia really is.